Chocolate has a long history behind it and was originally found in Mexico and Central America. Today, there are a lot of variations of chocolate that people enjoy and in fact, they have learned to mix other ingredients in it as well to make it more delicious. • Spices: There are a lot of spices available out there which can help enhance a chocolate’s taste. Some of these are red and cayenne pepper and chilies which include but are not limited to chipotle and ancho. In fact, even Cinnamon, fennel, star anise, basil and ginger have been used to make a chocolate taste better. • Bacon: It is hard to believe but bacon is now being used as well to enhance a chocolate’s flavor or at least being used as a flavoring for some bacon recipes. Toppings usually include almonds, salt and pistachios and are often cooked using dark or milk chocolate. As of the present, there are shops online selling chocolate bacon bar as opposed to the usual chocolate-dipped bacon. • Fruits: Using fruits to complement chocolate is not unheard of with cherries and strawberries being the most common additions in chocolate recipes. You will often see this combination in chocolate cakes and some home baked chocolate meals. However, what are giving it a more exotic approach are the fruits being used these days to add more taste to it. Imagine mangoes and oranges being included in the recipes. • Flowers: Are used but not as decorations. What can be added along with it are the plants. Lavender and violets are a few that are now being experimented on. 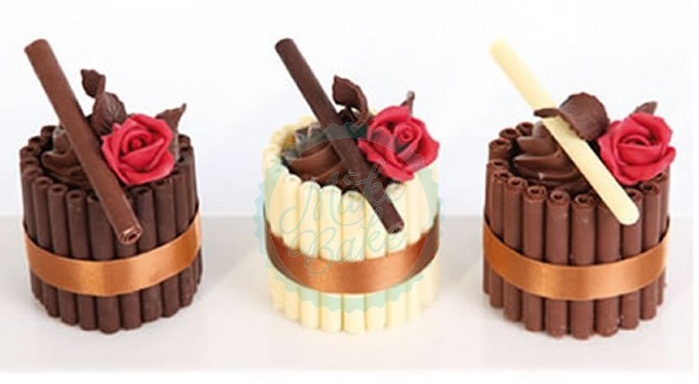 Flowers are often included to make the chocolate give off a more delicious fragrance. Who knows what more ingredients will be discovered and used in making your standard chocolate more attractive to your eyes? In just a few years or so, it could be more than this list. Making the perfect chocolate cake starts with the ingredient selections. Basic recipes usually call for baking cocoa or cocoa powder and milk. While these are safe choices and following directions is almost fool-proof, some variations will enhance texture and make for richer chocolate flavour. Substitute baking chocolate melted in butter for some or all of the cocoa powder. For the liquid, use half a cup of cooled brewed coffee. Make up the difference with milk, if the recipe calls for additional liquid. Contrary to popular belief adding coffee will not make the cake taste like coffee, but enrich chocolate taste. For moister chocolate cake, add mayonnaise with the liquid ingredients. Preparing the ingredients for chocolate cake is as important as selecting them. All dry ingredients should be sifted. Even liquids or items normally kept in a fridge should be at room temperature. Leave them out for no longer than an hour, however. While some recipes use oil, butter is best. Use the real stuff, not margarine or butter-type spreads. The butter needs to be creamed together with the sugar. Be patient; the longer you mix them, the better. Next should be the eggs, then the dry ingredients alternated with the coffee/milk. At this point, recipes usually call for vanilla. To enhance flavour, use extra vanilla or get creative with other extracts and flavorings. Here is where each cook can create a that perfect signature chocolate cake. A good quality baking pan is important. For best results, use non-stick cookware from www.makebake.co.uk. 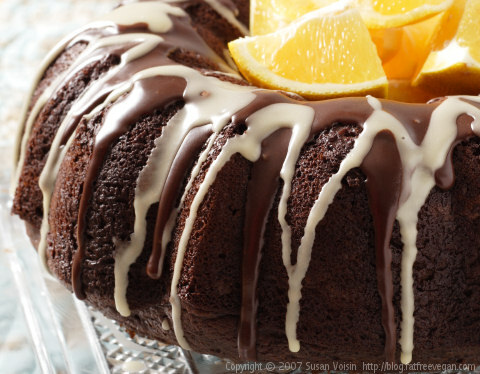 If coating the pan, use cocoa powder instead of flour to avoid the off-taste that can ruin a perfect cake. Baking times vary according to altitude and size of the pan. However, it is always better to under-bake slightly, which can be fixed by sliding the cake back in the oven. Over-baking will dry the cake out.